Fun fact: Some of the best NYC events in May are actually Fleet Week events. 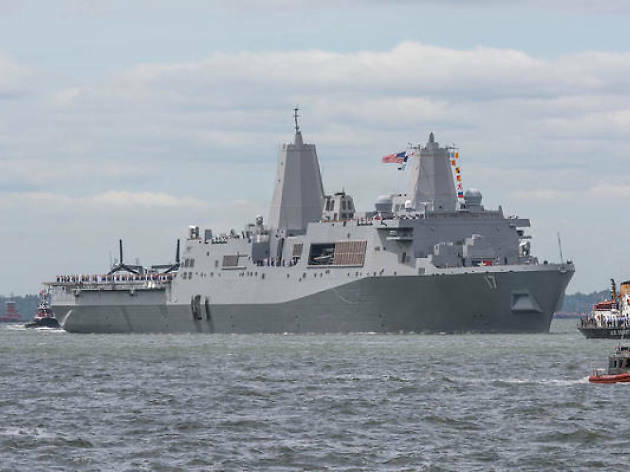 NYC gives a warm welcome to nearly 5,000 members of the U.S. Navy, Marine Corps and Coast Guard as they dock in the city for the weeklong celebration that overlaps with Memorial Day. There is all sorts of maritime-themed fun to be had at some popular New York attractions. 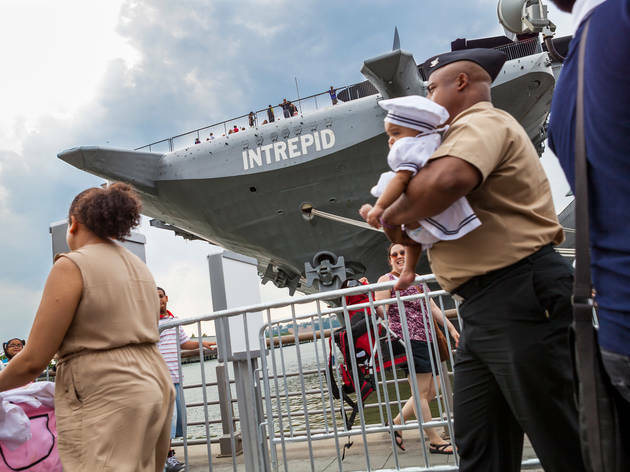 Read on for the best things to do for Fleet Week in NYC. The U.S. Navy is hardly known for its subtlety—and every year they make an entrance that's hard to miss. 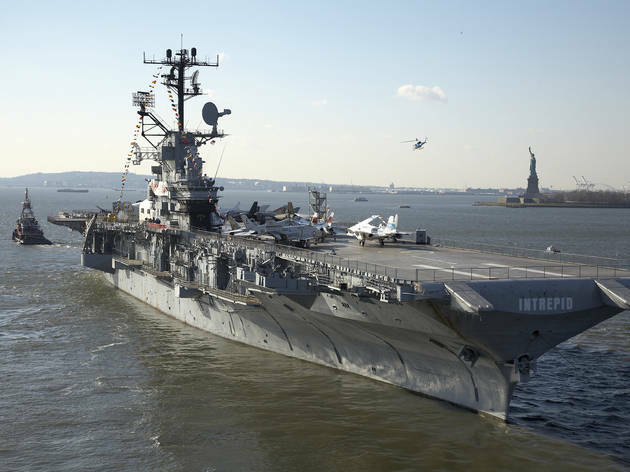 Fleet Week kicks off with a "parade of ships," during which massive aircraft carriers, giant warships, historic vessels and fighter jets cruise down the Hudson River. Take a picnic lunch and watch the impressive show from any of the parks along the water. 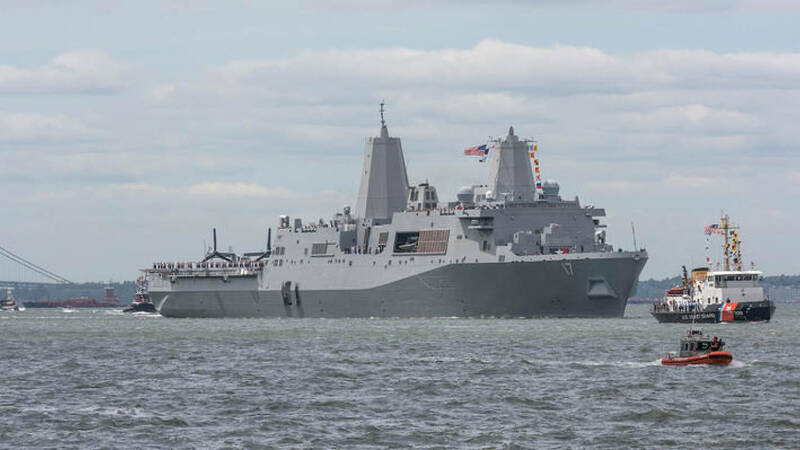 After the parade, the ships will dock in Manhattan, Brooklyn and Staten Island where they’ll be open for public tours from 8am until 5pm for the rest of the week. 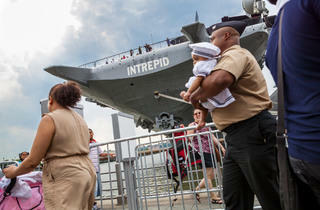 The Intrepid pays homage to veterans with a full week of events. Visitors can learn how recycling helps the armed forces and about the naming of naval ships in one of the many presentations. There's a movie screening of Top Gun on the Flight Deck and a Meet the Pilots session with astronauts or aviators. Plus check out interactive displays that allow you to examine WWII artifacts used by pilots for safety in a flight. For more information, head to the museum's website. 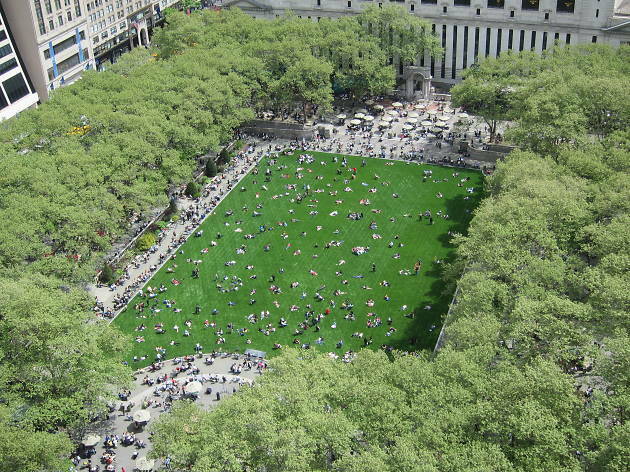 Spend Saturday soaking up the sun while sipping booze and swinging on a porch swing at Bryant Park's Southwest Porch. Service members in uniform recieve discounted drinks from the bar. Bonus: There are two live music sets at 3:30pm and 5pm. Sailors, assemble! Grab your pals to follow the clues and tackle an obstacle course on this scavenger hunt that celebrates the military. Meet at Slattery’s Pub with a smartphone and a MetroCard and get ready to take on the city and enjoy some maritime fun. 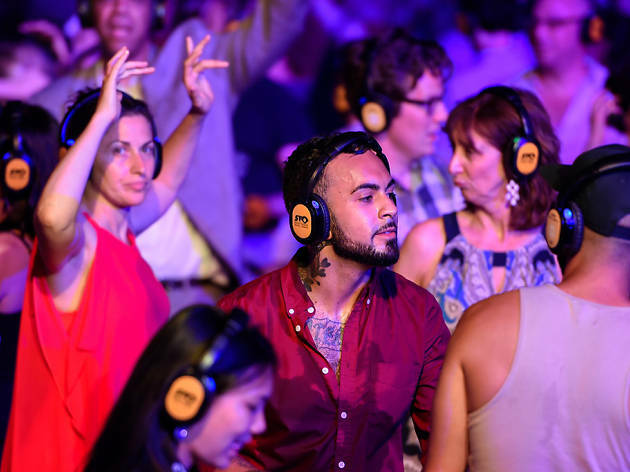 Service men and women boogie for free at this silent disco party serving $8 cocktails before midnight. 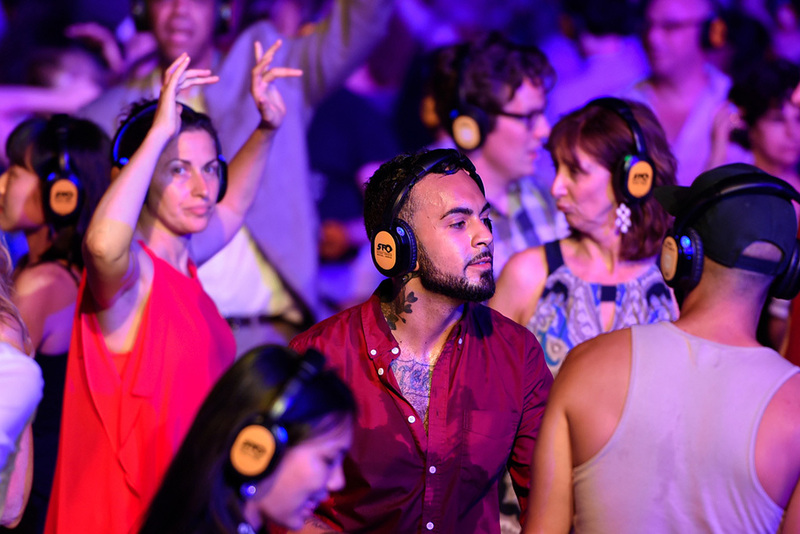 When you go, you’ll don wireless headphones and get down to three live DJs playing either Top 40 tracks, throwbacks from the early aughts or hip-hop and reggae grooves. All aboard! 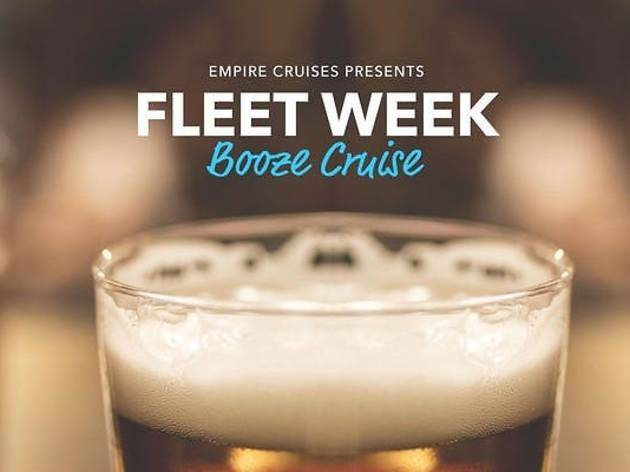 Sailors and Fleet Week revelers can take a break from being on land and sail along the Hudson River during this two-hour booze cruise. Enjoy a premium open bar, munch on food and snacks for purchase, and then get down to a live DJ. Bring your camera to capture unreal views of the Statue of Liberty, Ellis Island, the Brooklyn Bridge and more at night.